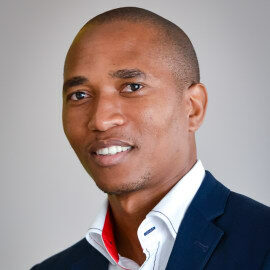 Sifiso Ntombela has recently been appointed as Trade Economist at the National Agricultural Marketing Council (NAMC). Prior to this role Sifiso was the Head of Trade and Investment Intelligence at Agbiz.He started his professional career as market intelligence manager for the South African Table Grape Industry in 2007. Three years later he joined the NAMC as senior economist, where he advised on trade and market policies; conducted economic research to inform policy direction on the agricultural sector; analysed the impact of global trade policies on agriculture and SA markets; and examined the impact of climate change and carbon tax policies on agriculture. In 2013 Sifiso was seconded as SIP 11 coordinator to the Presidential Infrastructure Coordination Committee (PICC). He was appointed director strategic partnerships at the Department of Public Enterprises (DPE) in 2015.